As a provider of elderly home care services, there's a good chance you've had to deal with some stressful situations, whether it was a medical emergency or a confused and frustrated client. Since you spend your time with working with people, it's natural that families may turn to you to help sort through a disagreement. 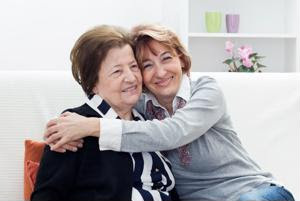 This could be whether not adult children feel their parent is ready for long-term care, a misunderstanding between your client and a family member or even a disagreement about a client's diet and eating habits. Ensure that everyone gets their say: Feeling unheard is a quick way for an argument or disagreement to escalate, so you can suggest that each family member takes a turn to explain their thoughts and feelings on the situation. That way, everyone feels like they've gotten their say, and a discussion can begin. Suggest compassion: In a disagreement, it can be easy to focus only on one side, but remind the family that it's important to try and see the other person's side as well. Having compassion for the other individual's feelings might make it easier to find some middle ground. Promote compromise: When people argue or disagree, it's important to find a way to compromise and move past the issue. Neither person will end up getting exactly what he or she wants, but with a compromise, both the client and family members can find a way to be happy enough to get past the issue.